Share Your #MusicInspires Moment This March! 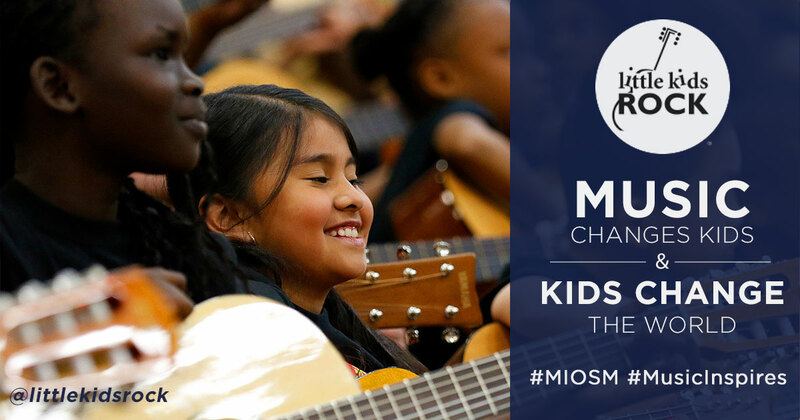 March is national Music In Our Schools Month® (MIOSM). Music Empowers. Music Heals. Music Connects. Music Changes Lives. 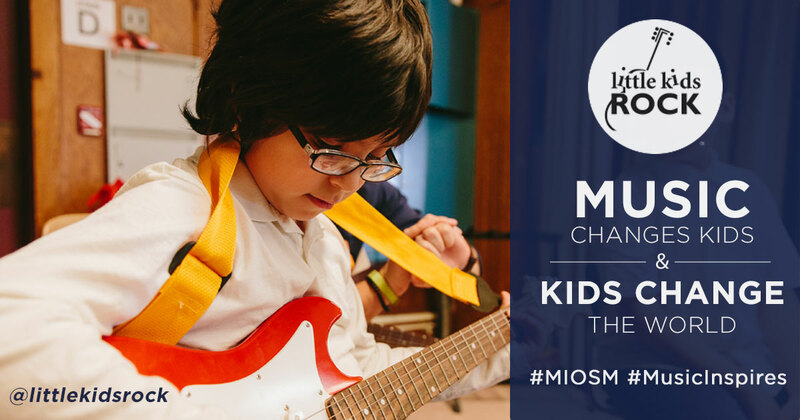 And this year’s MIOSM theme: MUSIC INSPIRES! 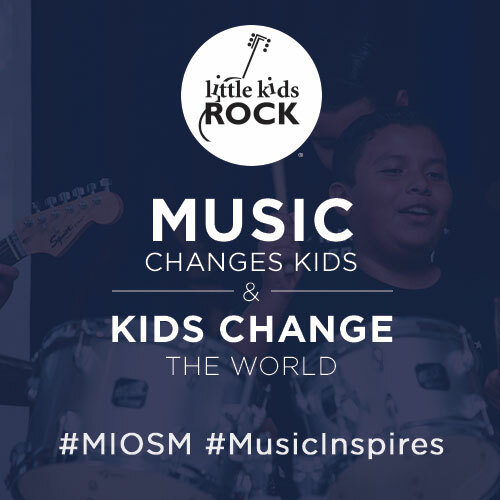 This March, @LittleKidsRock is asking YOU to share your most inspirational music moments on social media to help raise awareness for the work we are doing to expand music programming in underserved public schools by donating free instruments, teacher training, and curricula rooted in the popular music styles that kids know and love! 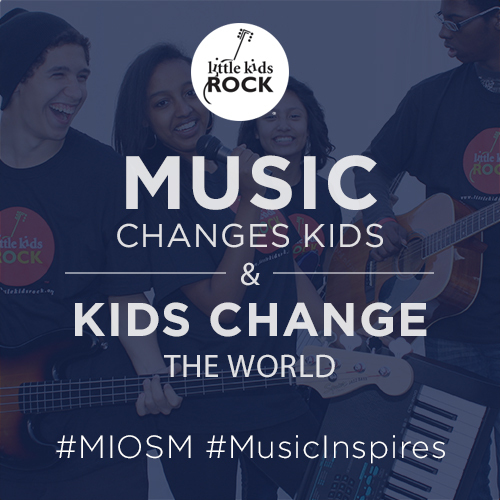 At Little Kids Rock, we have lots of inspirational musical moments. In fact, we have more than half a million inspirational moments! That’s because since 2002, we reached over 500,000 kids with the lifelong gift of music education, and each of the “ah-ha” moments that they have had when they unlocked their inner music makers is inspirational to us! 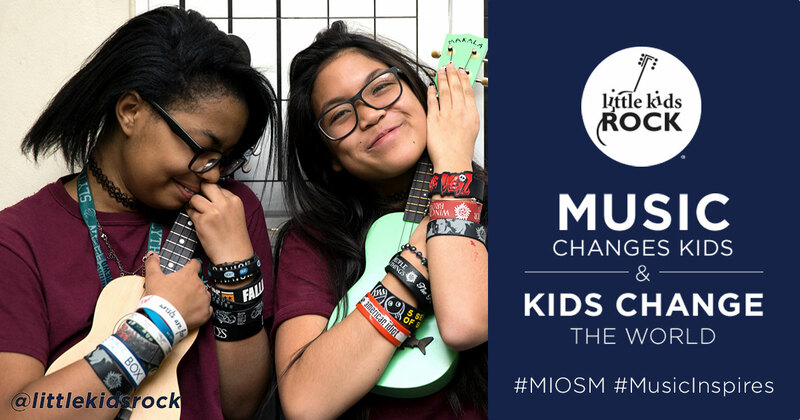 Share your #MIOSM #MusicInspires moment, tag @littlekidsrock, and ask your friends, fans, followers, students or employees to join in! Get creative by adding links to a video or photo. For more information and the history of MIOSM, please visit NAfME. 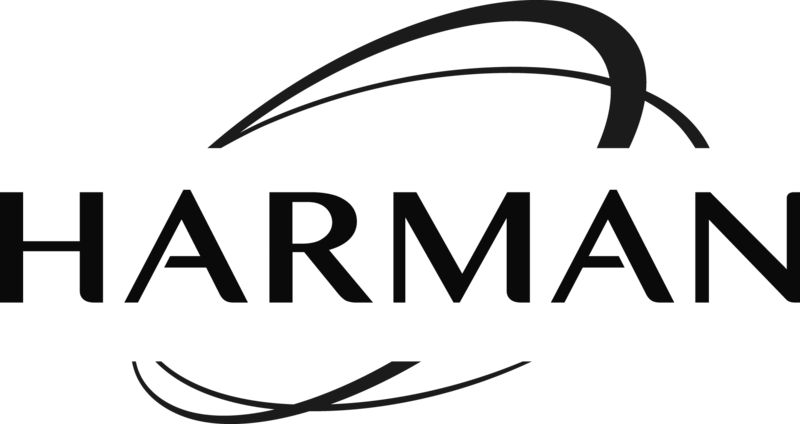 PLEASE CLICK ON ANY OF THE PHOTOS ABOVE OR BELOW TO HAVE IT AND A TWEET AUTO-POPULATE IN TWITTER!